A Catastrophic Risk Management Research Center is going to be created at the Yunnan University of Finance and Economics. Coordinated by Dr. Liu Hongjiang, Dr. Qian ZhengWei and Pr. Li Li, it will include several branches. The Ecological Disaster branch will support research on wildlife and human conflicts, one of the research objectives of the GDRI Ecosystem health and environmental disease ecology. Other branches include geologic disasters (flooding, earthquakes, etc.). 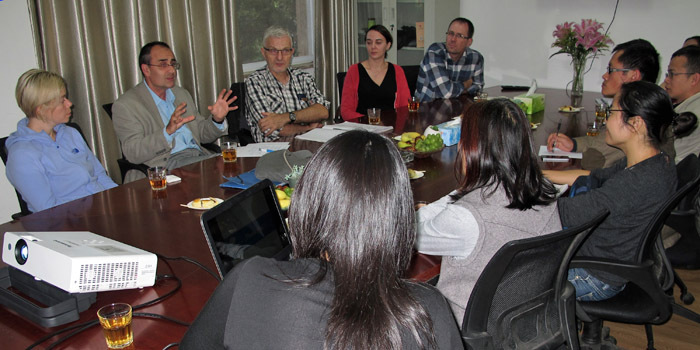 Informal meetings between Chinese and French researchers and (night and day) field visits have been organized during and after the workshop Research and methods in ecohealth and conservation. This might lead to additional cooperation between Dr. Liu Hongjiang, Dr. Nicolas Marilleau and Dr. Emmanuel Garnier on modelling submersion risk in Kunming.